What's the most collectible Japanese econobox? What makes a collectible car? Desire and scarcity. We've seen how such a combination applies to luxury, sports and muscle cars. What about the cars that made US automakers confront their mortality? What's the most collectible Japanese econobox? Desire for a Japanese econobox, you say? Shut your pie hole, Abner. There's an entire generation-load of people who've based their car loving on the Japanese metal. But most collectible? That'll be the Toyota known as AE86. Not only was this the last rear-drive Corolla, it also had the very buildable 4AGE, Toyota's first twin-cam engine, which shares a suspiciously similar architecture with the Ford Cosworth BDA racing engine. 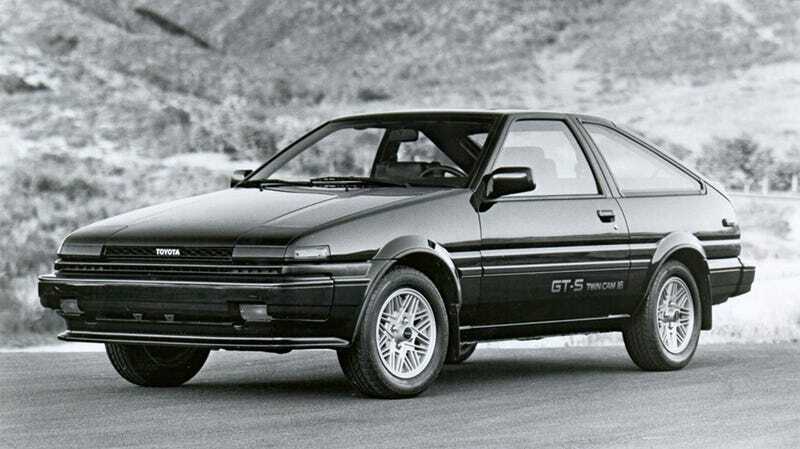 Also, with the dorifto crowd (and rabid fans of Initial D — many of the same people) snapping up every usable specimen, the AE86's future scarcity belies how many Toyota actually built in its day. For that reason, a good, original one should be a collector's dream date.